Perhaps the reports on the demise of Net Neutrality were exaggerated? As we hinted at in our earlier coverage of the issue, two congressional groups are taking separate steps to nullify the FCC’s ruling from earlier this month. The Net Neutrality kerfuffle continues. Since polls reveal a supermajority of Republican and Democrat voters disagree with Ajit Pai’s repeal decision, any move by Congress to cement the principles of Net Neutrality into law is simply smart politics. It appears this move is already in process with different approaches from both sides of the aisle. U.S. Representative from Tennessee, Marcia Blackburn recently introduced the Open Internet Preservation Act, aimed at codifying into law that Internet Service Providers aren’t able to block or throttle content. However, the bill does let ISPs engage in paid prioritization of content, a point of contention with others in Congress. Fellow Republican, Greg Walden of Oregon supports Blackburn’s approach. “The bill introduced today kicks off this important conversation, and lays the groundwork for Congress to enact broadly bipartisan principles that will preserve the dynamic internet ecosystem that has driven so much growth and innovation over the last two decades. I hope our Democratic colleagues will rethink their public strategy to ‘litigate not legislate’ as we begin this serious legislative effort,” said Walden. Chris Lewis, VP of the open Internet lobbying group, Public Knowledge, feels Blackburn’s bill doesn’t go far enough. 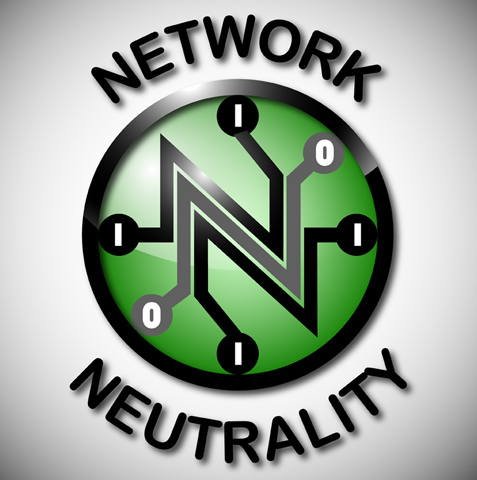 “Americans should demand nothing short of a full restoration of net neutrality protections. Fortunately, Congress can achieve this by supporting the proposals to overturn the FCC net neutrality repeal with a CRA Resolution of Disapproval,” said Lewis. The Resolution of Disapproval under the Congressional Review Act introduced by Massachusetts Senator Ed Markey looks to reverse the FCC decision on Net Neutrality. The CRA allows Congress to overturn any federal agency’s ruling by a simple majority vote. “Without strong net neutrality rules, entrepreneurs, inventors, small businesses, activists and all those who rely on a free and open internet will be at the mercy of big broadband companies that can block websites, slow down traffic and charge websites fees in order to increase their profits,” said Markey. As such, a similar resolution is being introduced in the House. With Net Neutrality expected to play a role in the 2018 mid-term elections, consequently it will be interesting to see politicians navigate the minefield of public opinion regarding their Internet access. Therefore, stay tuned to Bandwidth Place as we continue to cover this vital issue affecting all Internet users.